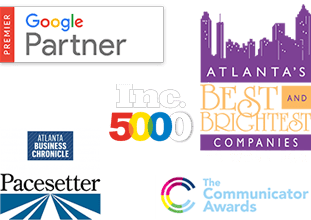 Cardinal Digital Marketing, an Atlanta SEO company, ignites growth in multi-location companies through efficient Google & Facebook marketing.Cardinal Digital Marketing’s goal is to help future generations of marketing entrepreneurs. Cardinal Digital Marketing wants to guide students who are considering a future in entrepreneurship. If you are a student who has entrepreneurial experience, Cardinal Digital Marketing wants to help. At Cardinal, we know our that today’s students are tomorrow’s future. We want to make sure that students who will create job growth are incentivized and supported through scholarship funding they will need to continue to ignite growth in our economy. We are offering two outstanding student entrepreneurs per semester the opportunity to win a scholarship that will help pay for tuition expenses. The Cardinal Digital Marketing Scholarship Fund will grant two students each $500 to be used towards tuition and related expenses like books. The students must either already be attending a university or planning to attend in the upcoming semester. Applicants will be asked to write an essay between 1,000-2,000 words telling us their entrepreneurial experience and how this scholarship would help achieve more growth for the student and our economy. 1. Full name, telephone number and mailing address. 2. The name of the college or university that you currently attend or will be attending. 3. Proof that you havebeen accepted or are currently attending the college or university that you specified. 4. The area that you study. A current high school student attending a college or university in the following semester. A full time college or university student in good academic standing. A desire to continue their higher education to most efficiently impact their community. 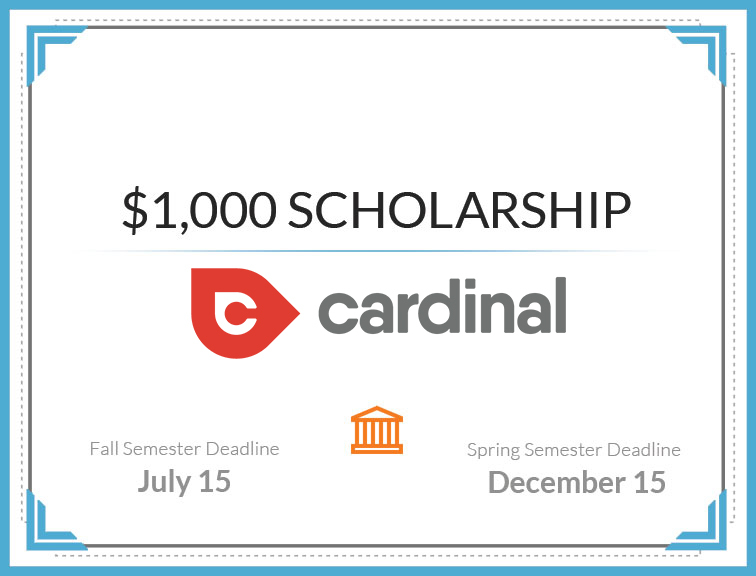 Two $500 scholarships will be awarded by Cardinal Digital Marketing leadership for the spring and fall semesters to whom we see the best fit. Essays must be submitted by July 15th & Dec 15th of each calendar year and winners will be announced by Aug 15th & Jan 15th of each year. Cardinal is a digital marketing agency based in Atlanta focused on igniting growth with healthcare marketing, higher-education marketing, restaurant marketing, law firm marketing and franchise marketing. We use expert SEO company techniques to drive more leads and customers to our clients. We also provide other digital marketing services such as PPC management and Facebook advertising. If you have a medical practice we would love to help you find more patients but we also serve many other industries with digital marketing. Contact us today to grow your business. Fall of 2018 scholarship was awarded to Mason P, University of California Santa Cruz. “Etched.” The name came to me as the laser engraver burned the winding Pacific Crest Trail into the maple board. This name was unlike any other my two friends and I had brainstormed. It amply represented our business niche: creating laser-cut wooden maps of well-known landmarks to match the woodsy homes of the Lake Tahoe area. And though we were by no means experts in product design, we were even more ineffectual businessmen.